Championship is in full swing. 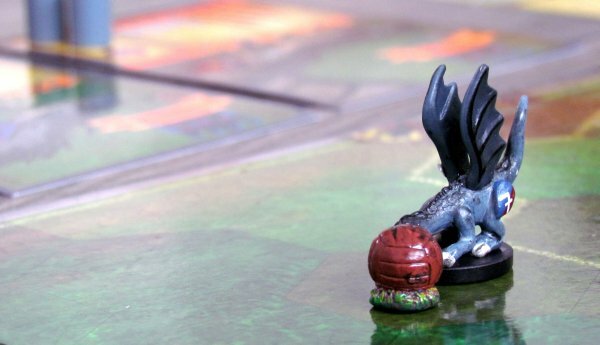 Dragons team just got the ball and is approaching the gate, but what is this? Flying player suddenly loses his strength and falls on the ground in a series of somersaults, wings folded behind and nose digging in the ground. It stops just at the level of a penalty point, where defender immediately picks the ball. 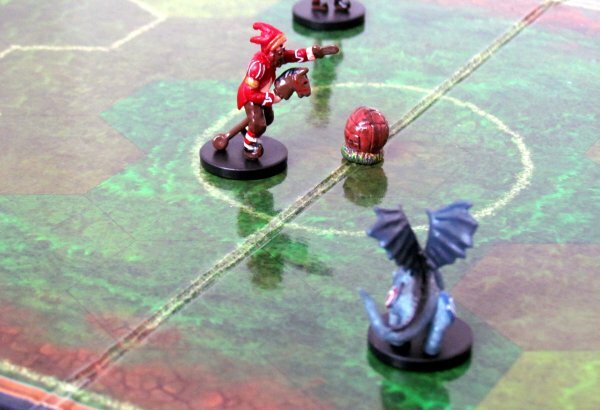 Regardless of any tactics, he starts running forwards, roaring through dragon ranks. This reckless tactic has earned victory many times for Madmen. We will see, where it can get them today. 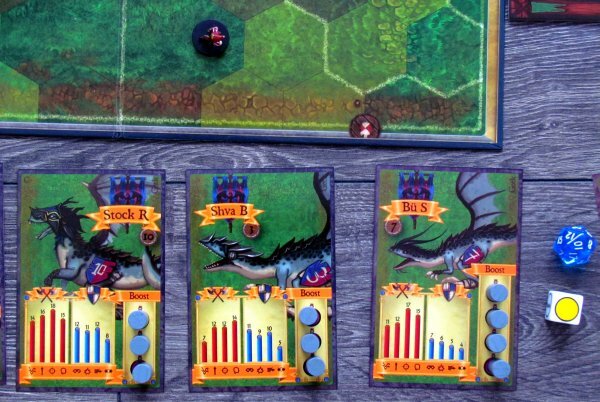 These two teams compete together in an endless series of matches and you can join them in board game called Helvetia Cup. And you have even a chance to lead them to every memorable battle. It was created by Frank Crittin and Grégoire Largey and published in the production of Swiss house Helvetia Games in 2012. Illustration were completed by Lorenzo Mastroianni. But Helvetia is more, than only a reference to country of its origin. It is also the world, in which all games of this publisher take place. We see first glimpse of it on photo from a ballfight, which looks like dragon with its mouth open is winning. We get (as spectators) to a boil and prepare to visit unconventional football field. Inside the box, there has to be some sort of game board, right? Yes, there is and its divided into lines of hexagons. Right in the middle, there is a circle, in which everything starts and both sides have their own penalty area lined by white color. Also certain areas of the entire field are diferentiated by color and in the corners near the drive-line, you can find also indicator of pass inaccuracies. 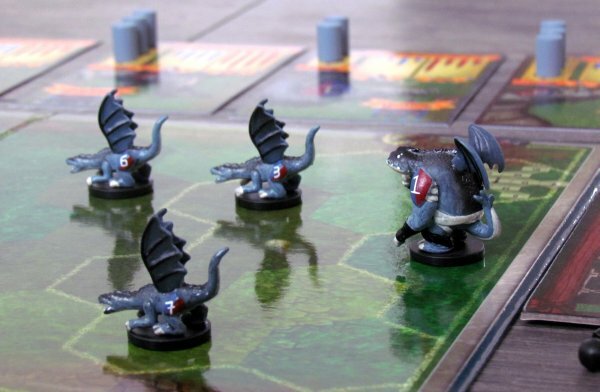 There are two teams hiding inside – dragons and madmen. 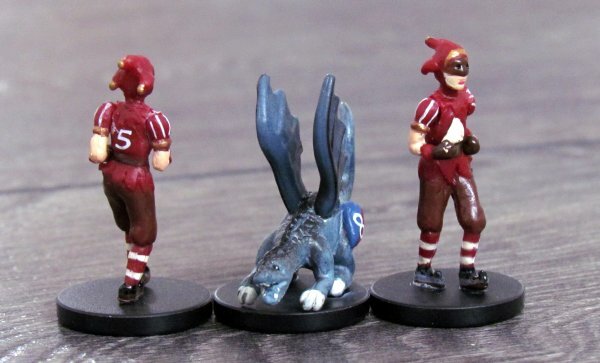 Each has their own nine miniatures (captains, goalies and players) and a set of character cards, that belong to each figurine. They describe ability of each player, which consist of defense, attack and boost. Both gaming capabilities are represented by four columns, that are assigned to icons at the bottom and used in different circumstances. 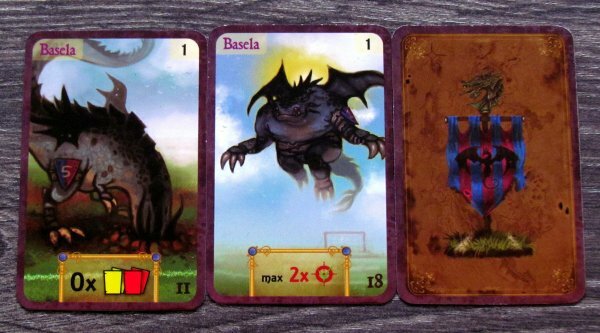 There is still a second deck for every team, with power cards, that allow to outwit opponent and delivers exactly, what every coach needs – a moment of surprise. 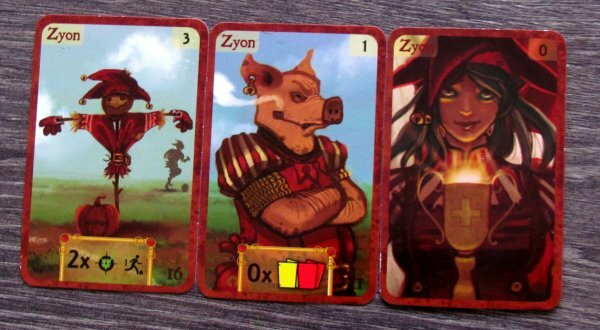 The team is also equipped with its six-sided dice and two tokens. 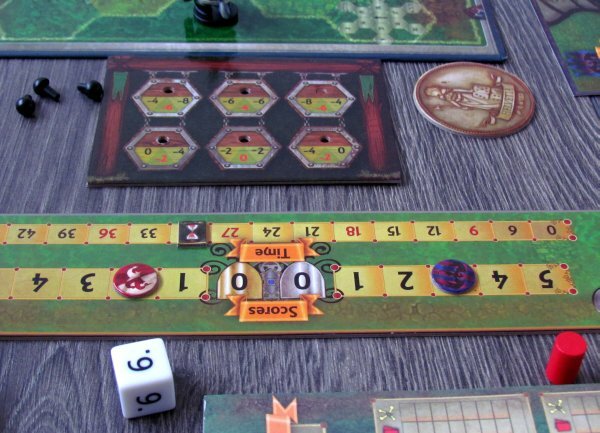 The rest of the components are common and includes not only another dice (two icosahedral a special one used to measure time), but also other boards. One serves as time measuring space, while the other two are goals, which are connected to game board in place of a goal line. 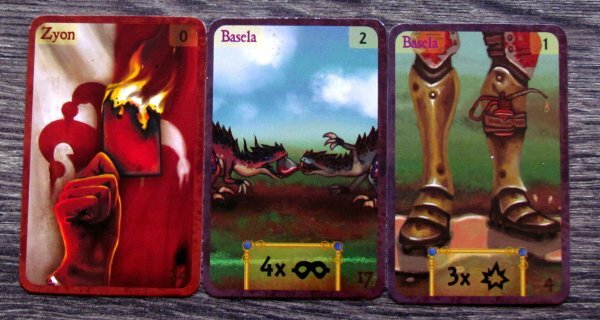 Each of the players in the beginning chooses a team and gets all its members in the form of miniatures and their cards. 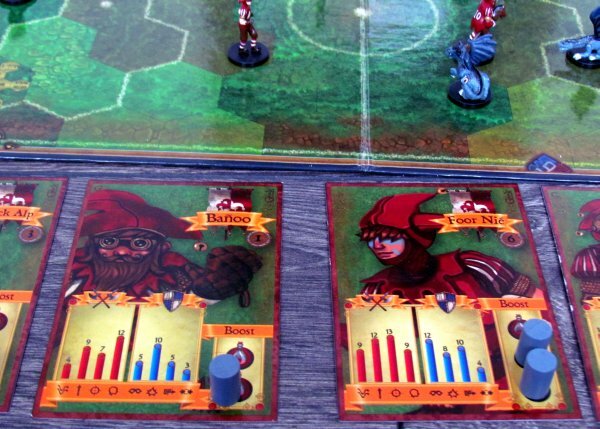 Additionally, each rival gets one goal, which is immediately placed on his side of the field and wooden tokens in his team colors. Both opponents select their four players for starting lineup plus one goalkeeper to watch for incoming balls. Do not forget also to take one team dice and second icosahedral for skill tests. 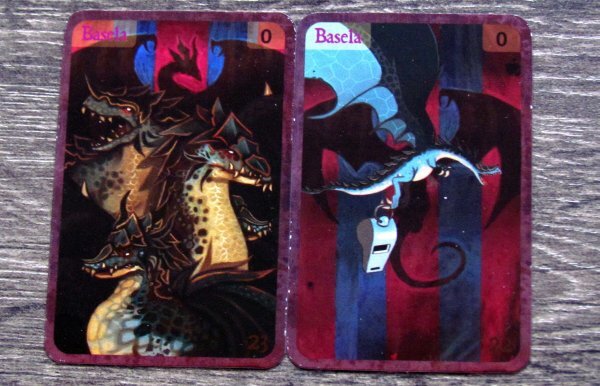 They may (or may not) also receive a set of cards, if an advanced game is played. 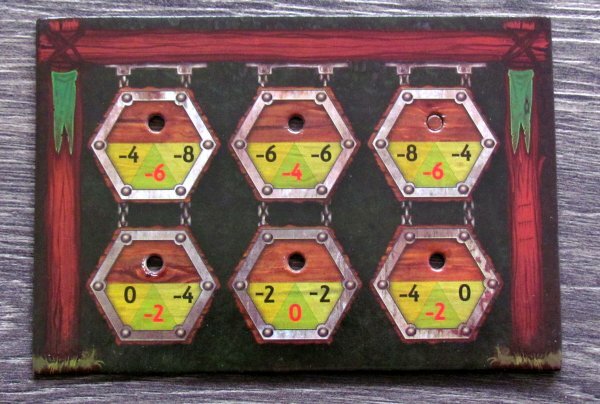 In this case, six are randomly dealt, but only three of them can be kept. In addition to field players, there are also two substitutes for each team. Each footballist gets tokens of boost on his card. Board for time measuring is placed next to the field with token on zero, as well as two other markers for teams. Next to it are placed also yellow card tokens. Ball is put in the middle, decide, who will have kick-off and then players place their heroes on the board according to football rules. Players take turns . Attacker has first chance to move his footballers, which is team in possession of the ball. Coach can move all or some of his players, according to his wishes. 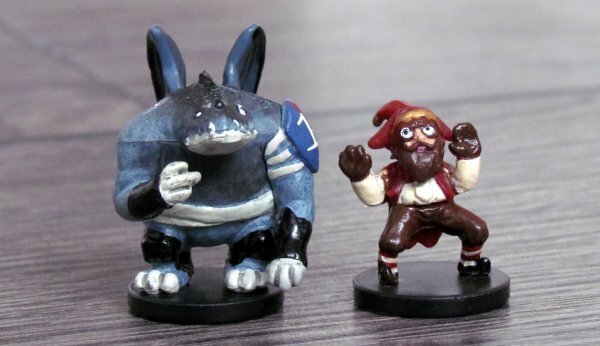 Individual miniatures may move to an adjacent space completely free. 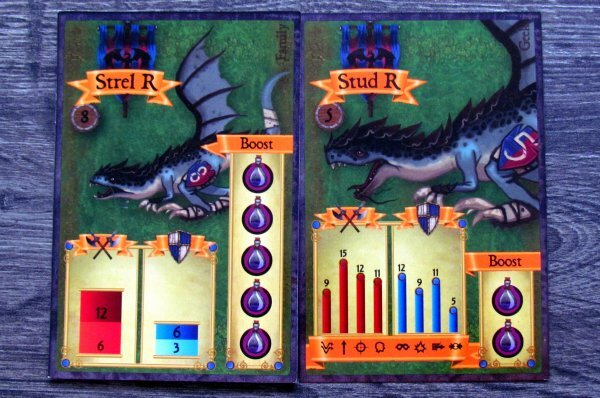 But if player commands them to run further, they consume one of boost tokens, which is set aside. Attackers can use also extra speed zones on the sides of the field, that will allow them to move faster (one bonus movement). Once an attacker finishes his movements, defender has the same chance with his players. Then, the second phase of one round launches, which is related to making actions. Defending team can perform some activities first, but only, if there are any players at the same position as some rival player. In this case, coach can choose from three options: stealing the ball, attacking the opponent or creating pressure on him. 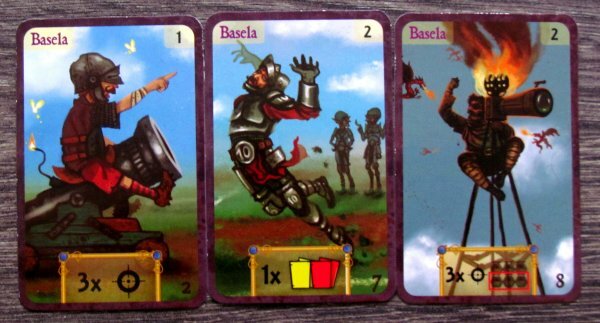 These variants correspond to defence values on player card – column with the corresponding icon, for example, attempt to steal the ball has a disguise icon, while physical attack is a symbol of explosion. 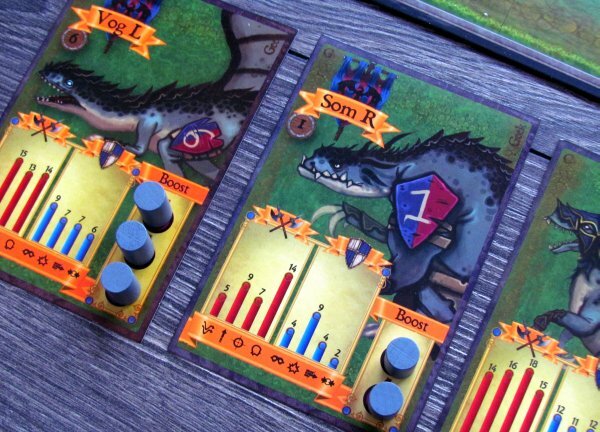 Battle evaluation includes a roll of the dice against the value in the column. 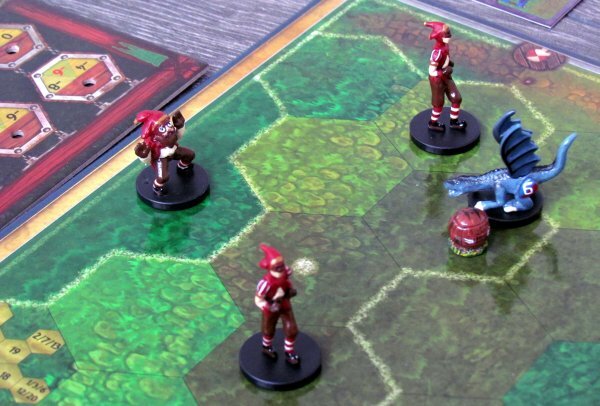 Only when the player manages to roll lower or same, he succeeded. However, second player can answer to a stealing ball threat with dribbling ability of his player. However, physical assault may end up as a foul (and a penalty), result in stunning target player or even injuring him. 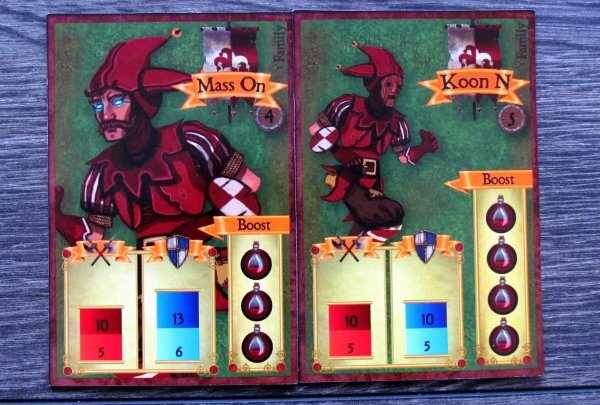 In the first phase dice decide, whether a player will be hit and forced to remove a few boost tokens from his card. If he has not enough available, he must be substituted and becomes injured. Conversely, attacker with the ball can pass the ball to a short distance without dice. The only risk can happen, when there is opponent´s player in the field, where the ball is headed. This one may attempt to capture it, before acting player gets his chance. All passes over longer distance, than two boxes, have to be checked with help of dice. In case of failure to comply with required roll, ball deviates from its intended direction by one or two fields based on result number, which is compared to template printed on the board. Result of such pass depends on, where its target is loacted on the field. An attacker can keep the ball or make a header towards goal, but only if he is undefended. If there are both players on one space, defender has the advantage and tries to make clearance and only if he fails, attacker gets it. 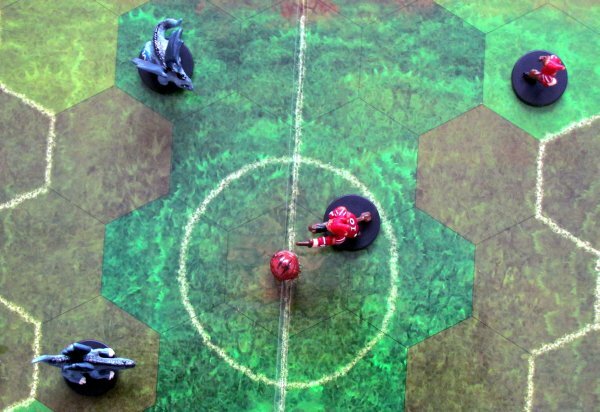 And then there is shooting, which can be done, if a player is within range of a goal (indicated by the color of field hexagons). Attacker first secretly chooses one of the six positions, which can he aim for and which are indicated on the goal card. Goalkeeper selects as many positions in his shrine, that is corresponding to distance player is away from the goal, when shooting. If the attacker chose another place in goal, everything now depends only on his abilities – he must roll dice against his shooting skills, but needs to reduce intensity of the shot depending on the selected location. Only if lower number is rolled, his team can celebrate a goal. Attackers can shoot straight from incoming pass (with additional penalties, lowering target number), which may surprise goalkeeper (he has fewer time to react). After a long pass, player can also make a header, but uses another skill to do this, so player could be better at it, than actual shooting. Footballers can even get into offside, but ball never leaves the playing area. Coaches can also play their cards, which can change situation on the field. 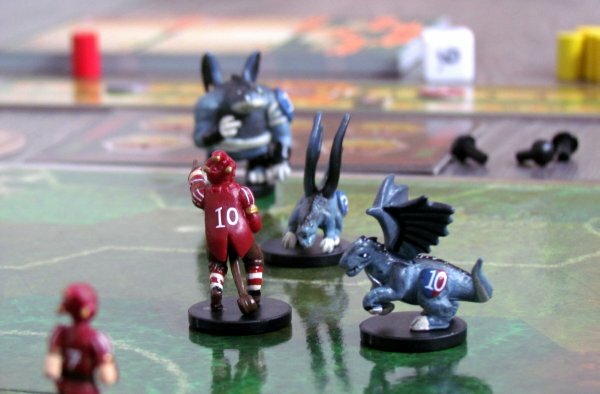 After each change of possession or goal, one player rolls time dice. This will determine, how much time has passed and half or end of the match approaches. In case of a tie, overtime and penalty kicks can be played as well. Winner is the player, who nets more goals by the end. Helvetia Cup is in its fundamental essence a football simulation. 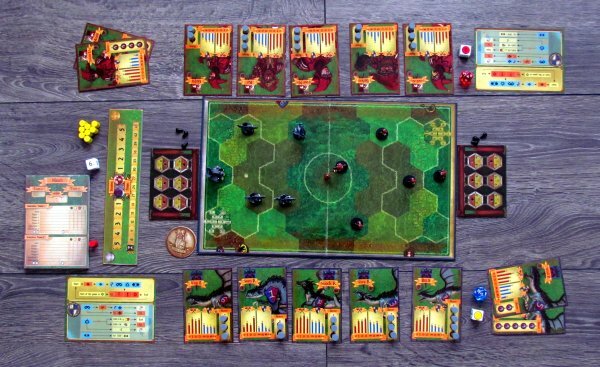 It adds a few special rules, which include rapid movement around the lines, but without usage of tactic cards, we have a true and pure soccer. And although we have had the opportunity to play a lot of games, where you kick the ball, this is the absolute best and by a really impressive margin! Why? 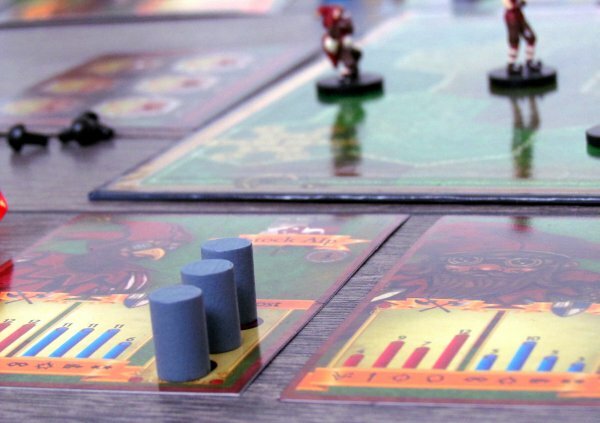 Read on..
All those choices in the rules and ideas, how to approach the game, really seem so obvious now. Nobody, however, did them before these Swiss authors and that is, why they should go down in history. And at least for us, they will. 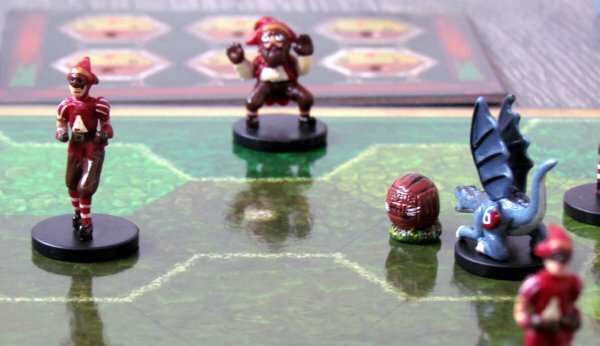 This game screams football all over the place, but maintains to be dynamic, fun and fast. It is not slow as the game you see on TV every weekend. Players have the opportunity to plan tactically, but everything is ultimately in the hands of chance. Dice decides about a lot of things and puts pressure on the players, but also guarantees great entertainment. Match has an atmosphere from beginning to end and provides fun. 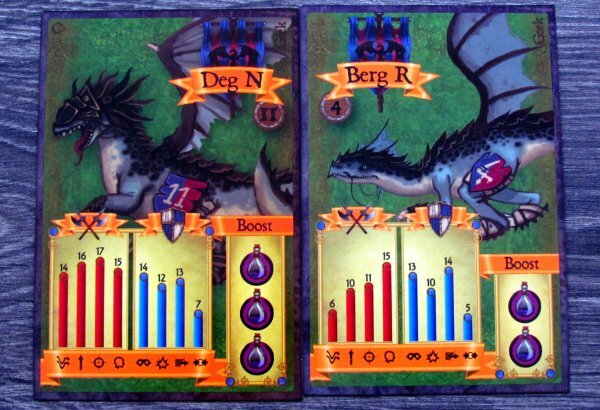 On another level, there is added a possibility to surprise opponents by playing cards, but each team has different set. Some actions are interesting, because them make players actually compete. For example, in a defensive action, everything has four sequential steps, that can be exited sooner in case of failure. Thus, even an unsuccessful attempt to defend can lead to ball recovery, if the player with ball under his feet dribbles poorly, while trying to avoid your player. This causes an interesting situations and everything is tied not only to luck, but also to individual skills of players. Best part for us was the way shooting is resolved. Aiming and keeper movement is only first part of the puzzle, which can then be decided by simple fact, whether a ball misses and floats just over the bar. Chances of success translate everything from distance to location, you are aiming for, which is great. 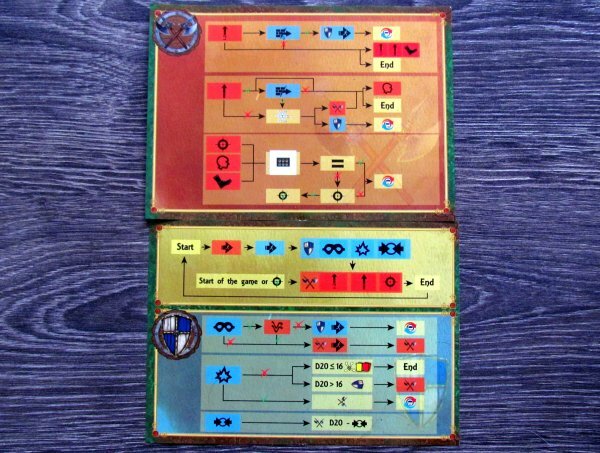 If you think: this is all too complicated to start playing it with my friends or son, you can simply start with family rules. 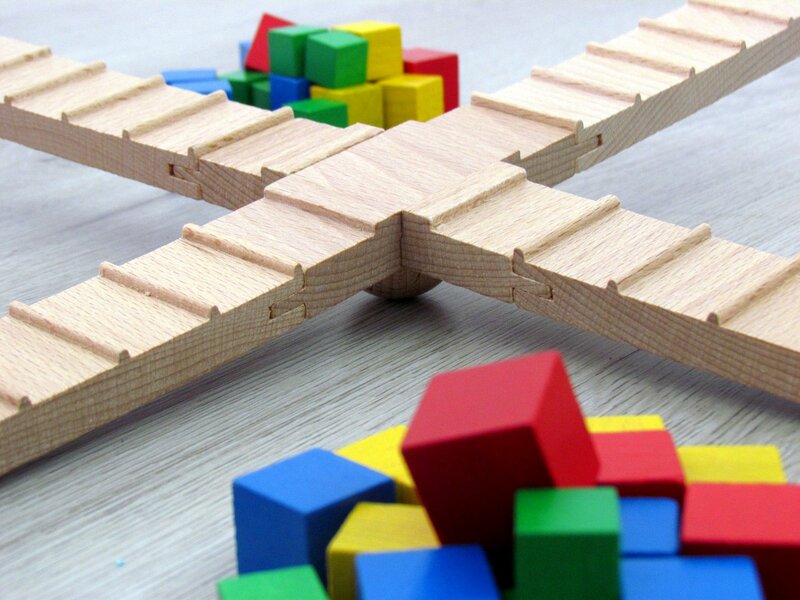 These are simpler and enable you start playing with children. Ability of every footballer is reduced to one defensive and one offensive number, which is a simplification, that does not sign significant on playability. Boys (as the mainstream children target group) will quickly learn the game and they will want more. This is the right time to add advanced rules described in the review. But we must not forget, that Helvetia Cup thinks of those, whom find one match not enough! 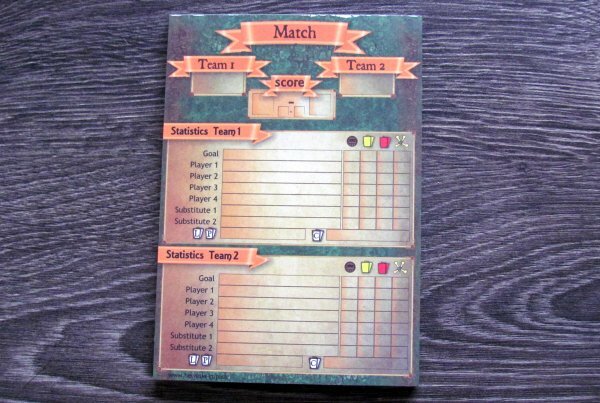 Its offering tournament rules, where injuries, fatigue and yellow cards are brought from one match to the other, making a real season out of it. For this purpose, there are special blocks for players and teams. 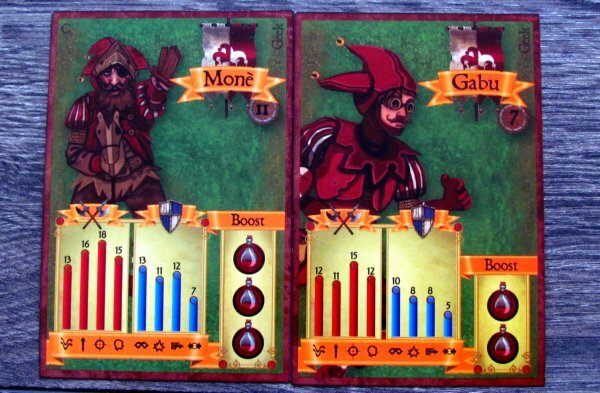 New cards can be obtained as a result of rigorous training, from which you can spend three points to acquire some new tactics. 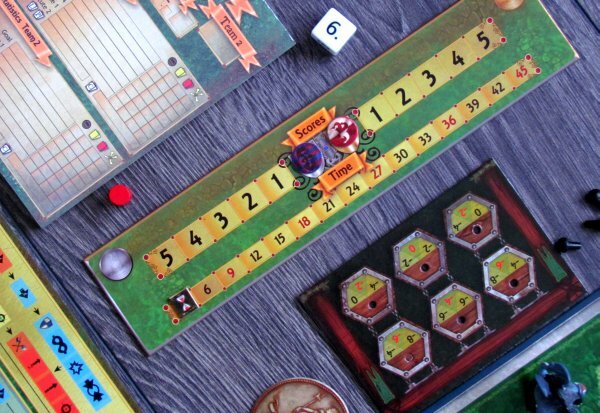 The only restriction remains in game offering only two teams in the box, and the expansions are not yet on the market, but authors have gathered required money on Kickstarter and new five teams will appear soon. Switzerland is known for quality products. That description certainly fits well also to Helvetia Cup. 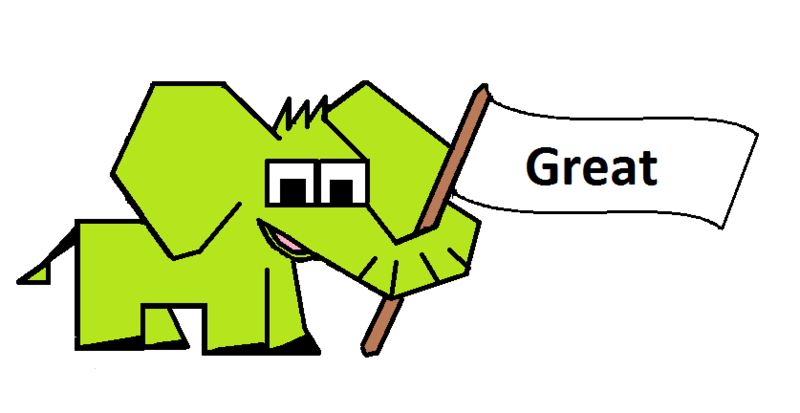 As for the graphical presentation, you will be delighted. 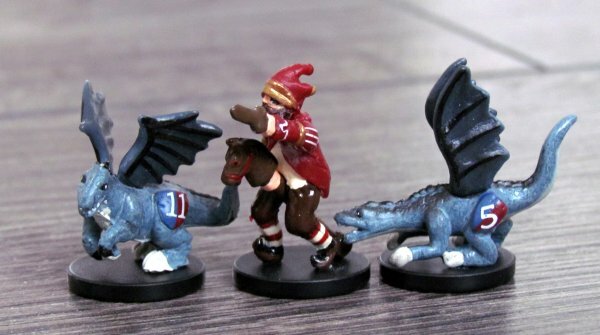 It lags a little in quality of components (cards and tokens), but everything is compensated by beautiful miniatures. 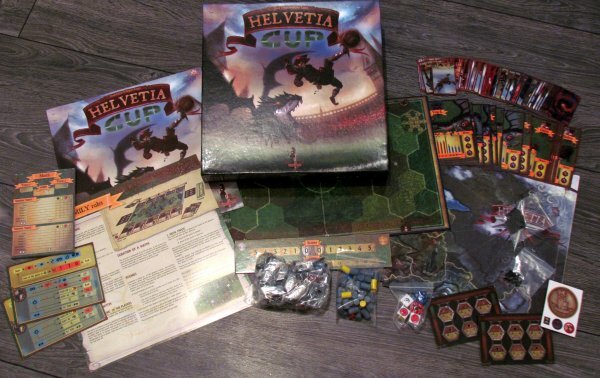 Helvetia Cup is a game, that is not well known and it is a real shame. This is in fact the real football game, that every fan should have. True, we do not find any Ronaldo nor Messi because of fantasy focus, but this is not harmful. Theme is interesting, although its mechanisms could easily be transferred into the real sport. Maybe anyone will try sometimes. 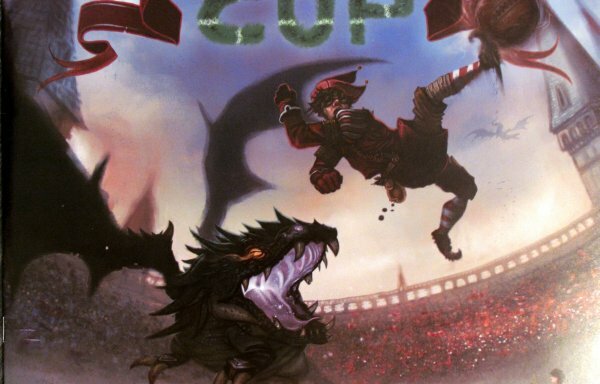 Until then, Helvetia Cup definitely is the best football game out there and great fun, that will surprise you. 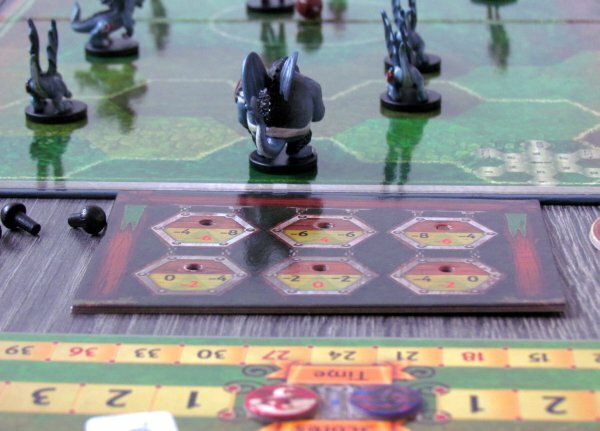 Helvetia Cup is virtually flawless game, that can entertain all fans of football. Those, who are chasing ball, cannot be more pleased, because it sticks to rules known from their favorite sport. It contains many excellent ideas and solves everything, that it is truly close to reality. Best thing of all is the shooting, but also overall width of tactical options for each player is really solid. Everything, of course, in the end depends on roll of the dice, but it does not matter, because that is, why the game is a bit unpredictable and exciting. Beautiful processing, family and tournament rules then creates a great immersion, that you can take home with yourself. 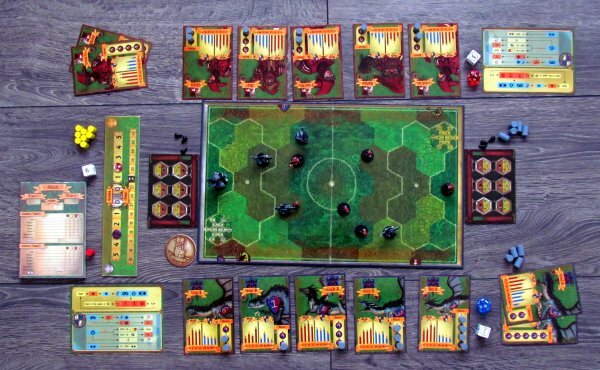 Helvetia Cup is about the best of football and you can play it on the table.